2 x 24 x 60 Inch - SHIPS FREE! 2 x 24 x 66 Inch - SHIPS FREE! 2 x 36 x 66 Inch - SHIPS FREE! 3 x 30 x 72 Inch - SHIPS FREE! 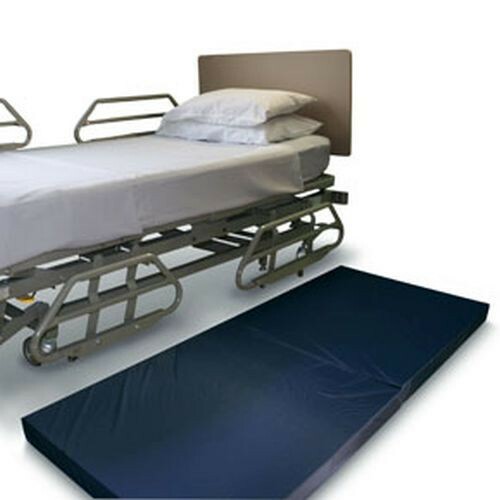 Bedside Safety Mat 2-Fold by NYOrtho is made from high-quality, high-impact foam. It is designed to fit along the side of the bed on the floor to prevent injury from potential falls. It comes with a cover that is antimicrobial, fluid-proof, mildew-resistant, and easy to clean with antibacterial wipes, such as CaviWipes Surface Disinfectant Wipes. It has a skid-resistant bottom that keeps it from sliding and moving. The bi-fold design allows it to easily be slid under the bed when not in use. I placed my order at the beginning of March and two weeks later got an email my order shipped. No explanation for why it took 2 weeks to ship. Another week and the company wants to know how I like it. I haven’t even received it yet. The customer service is horrible.